Commemorating the Irish Famine: Memory and the Monument presents for the first time a visual cultural history of the 1840s Irish Famine, tracing its representation and commemoration from the 19th century up to its 150th anniversary in the 1990s and beyond. As the watershed event of 19th century Ireland, the Famine’s political and social impacts profoundly shaped modern Ireland and the nations of its diaspora. Yet up until the 1990s, the memory of the Famine remained relatively muted and neglected, attracting little public attention. Thus the Famine commemorative boom of the mid-1990s was unprecedented in scale and output, with close to one hundred monuments newly constructed across Ireland, Britain, the United States, Canada and Australia. Drawing on an extensive global survey of recent community and national responses to the Famine’s anniversary, and by outlining why these memories matter and to whom, this book argues how the phenomenon of Famine commemoration may be understood in the context of a growing memorial culture worldwide. It offers an innovative look at a well-known migration history whilst exploring how a now-global ethnic community redefines itself through acts of public memory and representation. A timely and engaging look at the memory and public memorialisation of the Famine. 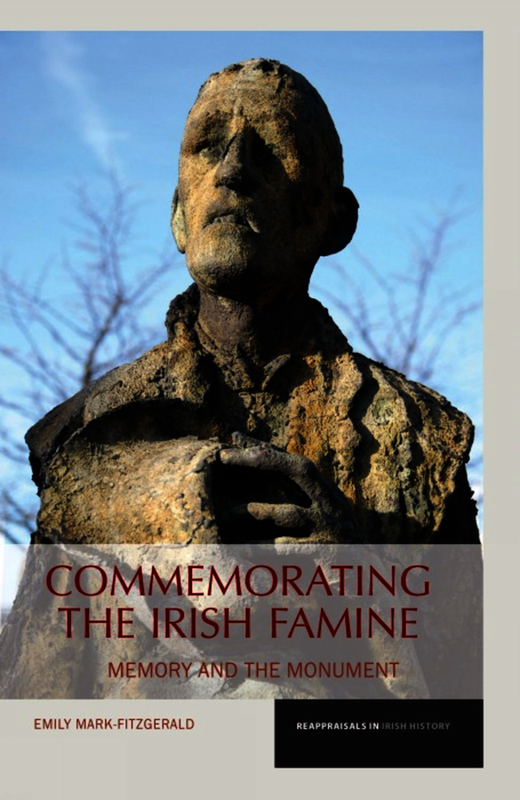 As we progress through the decade of commemorations, many of the issues discussed in relation to the Famine will take on a fresh significance, and the issues and questions that Mark-Fitzgerald raises will provide some solid insights and lessons. In this superb book about a complex subject, Emily Mark-Fitzgerald cogently charts the complicated history of how the Famine has been visually represented, especially since the 150th commemorations. Emily Mark-Fitzgerald commands a challenging literature with great facility. It is a landmark study, which will stand the test of time. Commemorating the Irish Famine: Memory and Monument is an engaging look at the memory and memorialization of the Famine. Dr Emily Mark-FitzGerald is a Lecturer in the School of Art History and Cultural Policy at University College Dublin.